HILTON HEAD, SC--(Marketwired - Mar 24, 2014) - Hilton Head is a popular golf destination for a reason, from rolling green hills to beautiful weather, so it's no surprise that major tournaments call the city home. This April, the annual RBC Heritage returns for its 46th year, drawing top golfers and a crowd of 10,000 to one of the top events in Hilton Head. From April 14th to the 20th, the PGA tournament will take place at Harbour Town Golf Links, home to the RBC Heritage since its start in 1969. 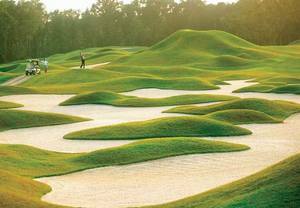 Named one of the top 20 courses in the country by both Golf Digest and Golf Weekly, the course has hosted golf greats including Arnold Palmer, Jack Nicklaus, Greg Norman and Nick Price, all of whom have walked away with the tournament's championship trophy. Visitors in town to attend the tournament will find a convenient place to stay at the Hilton Head Marriott Resort & Spa. Located close to the airport and Harbour Town Golf Links, this Hilton Head resort allows guests to attend the day's events and then return to a relaxing retreat. After a day standing under the sun, cool off with a dip in the pool, unwind with a deep-tissue massage at the European-style spa or gather friends for a delicious meal at Conroy's, offering a menu of classic American cuisine with a focus on seafood. Not everyone loves golf, so for those who have people in their party who'd rather do something else, there are plenty of other things to do in Hilton Head, SC. Enjoy a little retail therapy at the Tanger Outlets or Shelter Cove Marina, catch a show at the Arts Center of Coastal Carolina or learn about local culture and history at the Coastal Discovery Museum. To learn more about the RBC Heritage, visit www.rbcheritage.com/. To book a stay at the Hilton Head Marriott Resort & Spa, visit the hotel website and be sure to explore deals and packages available during the tournament and throughout the year. Whether on vacation, attending a corporate retreat or hosting a wedding, the oceanfront Hilton Head Marriott Resort & Spa offers the perfect setting. A beautiful location offers opportunities for relaxation and recreation with three championship golf courses, a European-style spa, beaches, tennis and watersports. Guests can explore top Hilton Head restaurants at the resort including modern American cuisine at The Cafe, seafood and classic American fare at Conroy's and cocktails and light fare at the seasonal pool/beachside Liquid. Guest rooms offer elegance and comfort, and each includes a private balcony with beautiful views, flat-screen TV, high-speed Internet access and luxurious bedding. The resort is a top pick for weddings, meetings and events, and offers more than 46,000 square feet of event space and a location close to the airport. This April, stay at our Hilton Head golf resort and enjoy the annual RBC Heritage, returning for its 46th year and drawing top golfers and over 10,000 spectators to Hilton Head.